Our personal tax planning and preparation services focus on the details to minimize your tax liabilities and maximize your income. Each client receives individual attention to review items that might otherwise be missed on your tax return. Expertly prepared federal and state income tax returns will ensure that you pay the least amount legally possible. We take a proactive approach in developing individual tax strategies that take advantage of every tax opportunity available for you. Tax laws can change every year, which make it easy to overlook deductions and credits in that you are entitled. Even if you use a computer software program there is still no substitute for the assistance of an experienced tax professional. 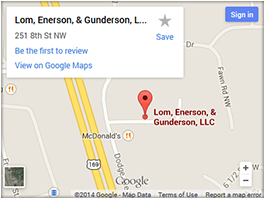 At Lom, Enerson, & Gunderson Tax Services, our mission is to provide every client with an accurately prepared tax return that captures every relevant item to keep more of your hard-earned money in your pocket. You work hard for your money and we work hard to help you keep more of it! We also offer a free review of past years tax returns. It is a comfort to know that when you bring your personal tax information to Lom, Enerson, & Gunderson Tax Services, you will be treated professionally and your personal information is handled with the utmost security in mind. We pledge to you that we will prepare your return accurately, in a timely manner, and at a reasonable price. 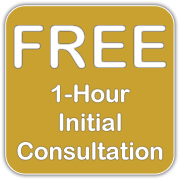 If preparing your own income tax return leaves you with more questions than answers, please feel free to contact Lom, Enerson, & Gunderson Tax Services for your free initial consultation at (763) 712-0300!